The Summer of Valiant is coming! Four months. Four new titles. X-O Manowar #1 in May. Harbinger #1 in June. 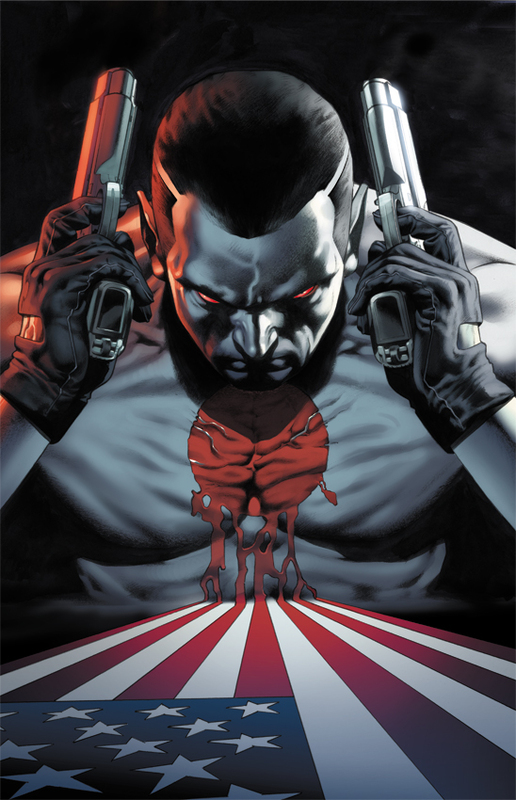 Bloodshot #1 in July. Archer & Armstrong #1 in August. Now, meet some of the all-star comics talent behind the opening salvo of the all-new Valiant Universe. Just a few weeks before X-O Manowar hits stores everywhere, check out the links below to find out all there is to know about the most anticipated return in comics! And don’t forget to catch up with Valiant this weekend at Chicago’s premier pop culture event, C2E2! Follow us at Twitter.com/ValiantComics for announcements and info live from the convention floor!